Besides these beautiful statuettes created by Solide Art, and the magazine subscriptions offered by Soltész Advertising Agency and Filmvilág, there was a special prize offered by the Budapest Film Academy, which is a half year scholarship at the Academy. Jenő Hódi, headmaster of the academy shortly evaluated that they saw, and announced the winner who was Dave Fulton of Britain for his short: ‘Pay First’. Following this came the awarded ones by the International Jury, whose members were this year: Éva Vezér film expert from Hungary, Nicky Gogan film producer from Dublin, Zoran Šmid media tutor from Slovenia and the only permanent member of BuSho’s jury, Wolfgang Leis, marketing guru. First they announced those who couldn’t be there in person, which isn’t surprising since it is an international competition, except if an awarded is Hungarian and the festival happen to be held in Budapest... Luckily we had a few Hungarians awarded again, who could turn up on the ceremony, such as Bálint Nagy cinematographer for his work in ‘Porcukor/Powdered Sugar’, directed by Mihály Schwechtje and Csilla Zsély for best conception in her short ‘Éjszaka/Night’. One of our guests in the festival Vadim Viner from Russia won the best production design for his piece ‘Cabbagemincer’. Each year a Film school or Studio being given a prize for entering with the best selection and this year it was Banatu Filmak of Spain. After Nicky Gogan gave us her evaluation of the previous few days, the evening turned to the announcement of the main prize winners of the 8th BuSho. “This film had the entire audience howling with laughter. The idea and script are both excellent and genuine. 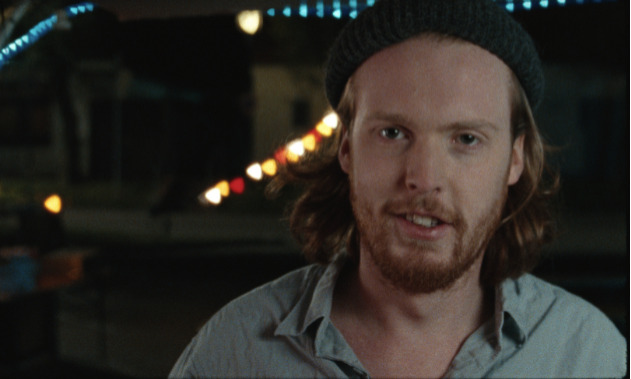 The performances were also superb, particularly the lead character Peit.” – BuSho 2012 Bronze award went to a German short: ‘I have a boat’ by Nathan Nill. “This film has evoked much discussion over the past few days. It's so well directed, gritty locations, beautifully shot, incredible performances from the entire cast - that all combine to give it a brutal realism. It's a story that grabs you relentlessly from the very first moment.” – the Silver of BuSho 2012 was given to ‘Csicska’ by Attila Till from Hungary. “This film was unanimously the jury’s first choice. It's a film that treads the fine line between humour and emotional drama in an incredibly skilful and nuanced way. Drawing the audience completely into the story of the characters, while investigating the complex and tragic subject of the Rwandan conflict in a thought provoking way.” – BuSho 2012 Gold went to, and therefore the winner was: ‘Na Wewe/You too’ directed by Ivan Goldschmidt of Belgium.